The word “compliant” can immediately make even the best office or business managers’ head spin with all of the rules and guidelines involved. However, when referring to managing a the dangerous medical waste of a facility or institution, one must understand that these guidelines are set for a very specific reason. Leaking hazardous medical waste will not cause the next set of Teenage Mutant Ninja Turtles, however it may put your employees, your patients or customers, and your business at risk of coming into contact with infectious waste and/or receiving hefty fines. Here are several methods to help keep your health care facility or business compliant when you are obliged to manage hazardous waste. First of all you have to make sure that they receive the proper training. Without proper training, guidelines which include placing sharps into a puncture-proof container, can easily be overlooked. 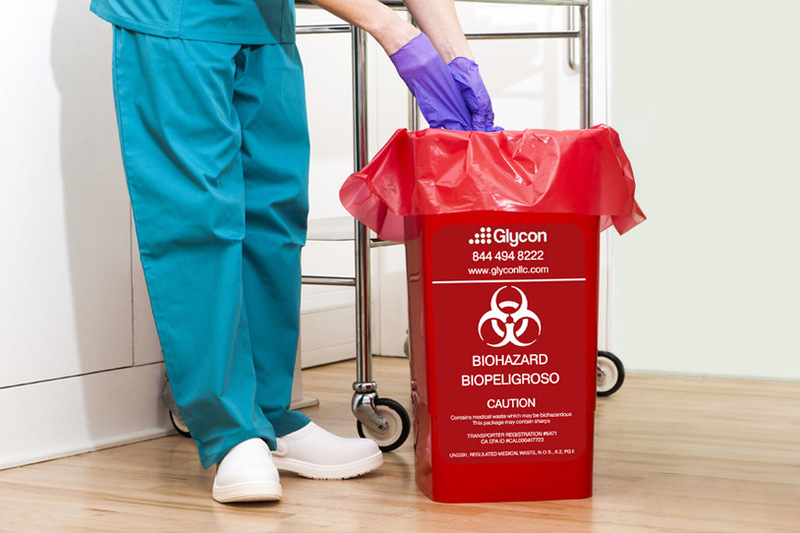 We take care of both being compliant and keeping your staff and patients healthy and safe at Glycon. One of the simplest rules to follow when disposing of medical waste is to always use proper containers or bags. For instance, you would never put a sharp into a red biohazard bag. If you do in this way it can puncture the bag and allow medical waste to contaminate your facility. Placing medical waste in the correct bag or container in a correct manner also helps when the waste makes its way to the disposal center because several types of waste must be disposed of in a certain way. Having idea which containers are for what type of waste goes back to the very first tip. Take the time to thoroughly train your staff in proper waste management. Besides increasing the health and safety of your facility, it may even lower a few “staying compliant” headaches in the future. When you choose the right waste management company to partner with, it becomes easier to stay compliant. With affordable, flexible, and nationwide coverage, Glycon can help you create a waste management suitable to your company’s requirements. Give us a call today at (844) 494-8222 and allow us to help you get rid of the headache of medical waste removal, medical waste transport, and medical waste disposal.